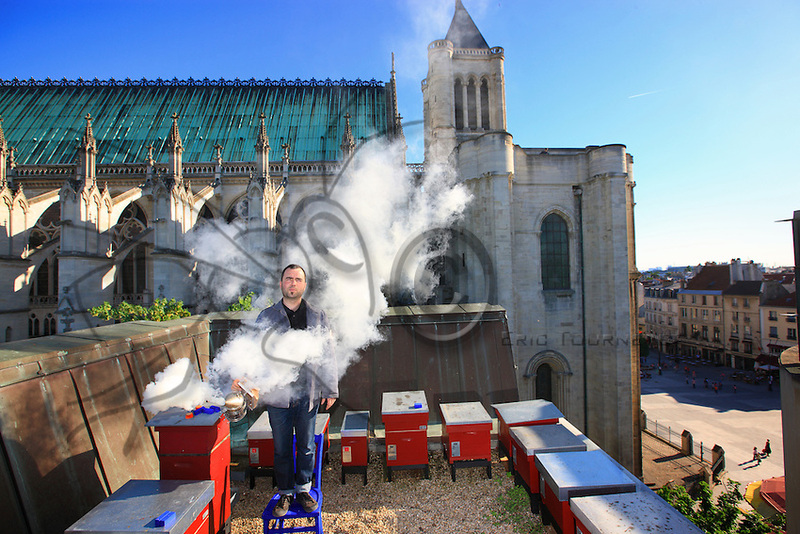 Olivier Darné, artist and urban beekeeper set up his first hives in 2000 on the roof of the Mayor's Office of Saint-Denis, at the foot of the basilica. His apiary counts 20 hives. He has chosen bees as a medium, and for years now puts bees and questions on the sidewalks of the cities.